Sometimes it's necessary to install the Google Play Store manually. Whether you have accidentally uninstalled it, or you want to revert back to a previous version, or even if your Google Play Store is not working and you just want a fresh install, there's a solution! Here's how to download and how to install the Play Store. The numbering system for Google Play Store versions may seem a little confusing at first, but it's easy to get your head around. If the jumps between numbers seem odd, that's simply because Google didn't publicly release the versions in between. If your Google Play app is working normally and the only reason you're sideloading is because you're impatient, you can also check the app version in the Play Store application itself. Open it, tap the three lines (menu button) in the top left corner, go into Settings and scroll all the way down to see the exact number. Please note that the following guide is for owners of an Android device with a licensed version of the Play Store installed. We recognize that is sometimes necessary to re-install or roll back the Play Store app. Looking for a previous version of the Google Play Store? As usual, most of the changes are under the hood, aimed at making everything run more smoothly. We haven't been able to find significant changes to the user interface or new features in the latest Google Play app version. If you download the update and notice any errors, however, check out our guide to troubleshooting Google Play. How do I install the Google Play Store? 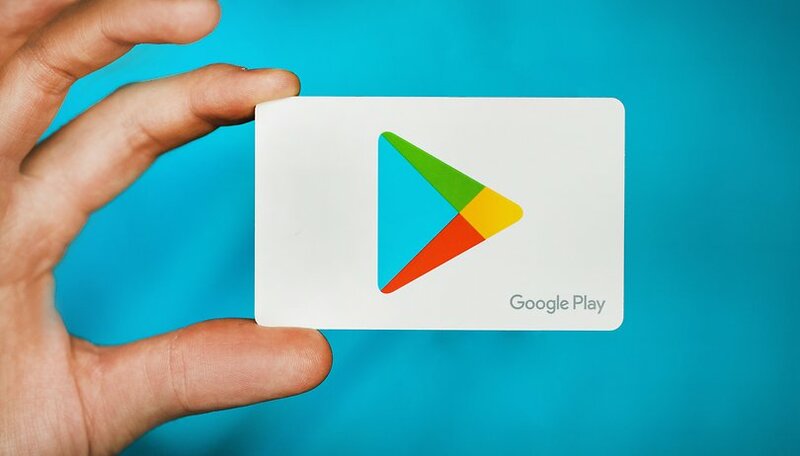 The simplest method for installing the Play Store will already be quite familiar to you if you're an avid follower of AndroidPIT: just download and install the Play Store APK manually. An APK is the Android equivalent to an .exe program on your computer. This is, of course, extra useful when the app you want to install is the Play Store itself. There are two ways to get the Google Play APK installed on your device: directly on your phone or through your computer. We'll do the easy option first. On older versions of Android (before Oreo) you will need to simply go to your settings menu and enable installing from unknown sources, then open the above link. You'll be prompted whether you allow the download and installation. APKMirror is a safe source, so it's ok to hit Yes. Head to Settings and find Apps. Once in the apps menu, scroll down until you find your mobile browser - Google Chrome, for example. Tap on your browser and scroll down to the Advanced section. There you will find Install unknown apps. Open and select Allow from this source. You can disable this option after you're done. Using the browser on your device, go to the XDA Developers forum or APK Mirror website to download the APK for the latest version of the Play Store. You may get a message warning that "this type of file can harm your device." Ignore it (trust us) and tap OK.
Open the APK (you can tap the completed download in your notifications menu), read the new permissions (if any) that the new Play Store version requests, then tap Install. If you don't have a data or Wi-Fi connection on your device, you can download the Play Store app APK to your computer instead. The same process applies, but you will need a file manager app installed on your smartphone, if your device doesn't come with a preinstalled one. Download a third party file manager app, if you don't have one - FX File Explorer, for example. Allow it to install apps from unknown sources, following the same steps as described for your mobile browser. Using the browser on your computer, go to XDA Developers forum or APK Mirror to download the APK for the latest version of the Play Store. Connect your device to your computer with a USB cable and copy the APK over to your Android device. Find the APK using your file manager app. Launch the APK, accept the permissions and tap Install. Don't forget to remove the permission to install from unknown sources from your file management app if you don't intend to sideload more APKs. Once you've reinstalled the Google Play Store app, you shouldn't worry about having to download every following version manually again. As soon as there's a newer version than the one you sideloaded, the Google Play app will automatically update. If you are still experiencing problems, however, it's time to do some troubleshooting. Scroll down to Google Play Store, tap it, then tap Clear cache. Note: depending on what type of device you have, it may need to be rooted in order to manually install the Play Store, but that's a tutorial for another day. What is the one must-have feature you want in the Google Play Store? Do you like the latest updates? Let us know in the comments. My play store is not working its continusly showing chek your internet and wifi connection and i have connection. Don't be alarmed, unknown sources are simply locations outside of the Play Store, which is critical if it's the Play Store itself that you want. I have faced an issue with an old Samsung device where the Playstore constantly crashed. I simply used to clean the cache and it made life easier. This STILL isn't working for me. I received a replacement LG G4 phone and it is not authenticating so I can't download any apps. I have cleared cache and data, restarted, uninstalled play store updates, installed APK play store twice and still NOTHING. please email me at jacobypierce716@gmail.com if you know how to fix this please. in android 7 i dont see clear cache and data anymore in the apps. where is that. also have a google pay-problem, update was blocked since i was working elsewhere (paypal? )with the problem. a clear instruction what must be set where-a tutorial should be offered by both paypal and google-play. google pay seems has nothing to do with that. Every time I have problem with Google Play Store, I just clear the Clear cache, and every time it works. where are theses settings. in android 7 they are gone inside the apps. I'm confused! Now if I need to d/l the Play Store on my Ellipsis 7? tablet, which 'version' of d/l would I choose??? Computer? Phone? I don't have WiFi but do have data. A few days ago, I kept gettin' message that my messenger was out of date. Reluctantly, I decided to d/l a newer version. It wouldn't let me do it. A 'friend' told me that she had the same pblm and that she had to uninstall her current one. So, like an idiot, I uninstalled it.....only to STILL not b able to d/l the newer version. After a couple hrs of hair pulling, I decided to call tech support at Verizon. AGAIN, I proved my desire to own the idiot award! The guy walked me through it...still unable to d/l ANY version of messenger. Then he has me tap this, tap that, tap on Google play store and tap on uninstall! My brain kept saying"Don't u do it", but my stylus tapped it anyways! Then the guy asks me to tap on Google play store!!! And when I told him that it wasn't there anymore since he had me to uninstall it, he tells me to look n other places for it! OMG!!! So, as it stands, now I have no messenger, no Google play store and it seems I can't just d/l a messenger without the darn Play Store!!! HELP!!! Hi Wanda, since you have data on the tablet you can activate it and download the Google Play Store version from the apkmirror link in the article. The try the 'phone' instruction for installation to install it directly on your device. Hi, I was presented with an Amazon Fire phone which which has 6.0 version, from my daughter which incidentally had Google Play store and Google play services but hanged subsequently. I uninstalled and installed again but there was no shortcut created on the page. When I go to the APK mirror for reinstalling them, it says installed. How to get the shortcut icon so as to download apps to my phone. It was very helpful, thank you! My installed Google play store in tablet Tablet Canaima does not open.solve my problem,please.